Acupuncture is an ancient Chinese healing method wherein practitioners relieve pain by inserting fine needles at specific points in the body. The technique, possibly introduced to the United States during the early 1900s by Chinese immigrants who brought their ways and means with them, blossomed here in the 1960s and ’70s. By then, alternative healing techniques, including acupuncture, became much more popular among the general public. It wasn’t long before the use of the method began to be explored by the veterinary community. Today, you can find many veterinarians that use acupuncture treatment as part of their care. Here are a few facts on acupuncture for dogs and how it is useful for canine veterinary care. Dog acupuncture is used to treat such conditions as arthritis, spinal disc disease, hip dysplasia, nerve injuries, gastrointestinal problems, cancer pain, skin eruptions and some reproductive issues. It can even be helpful in treating allergies and asthma. Acupuncture can also be used to reduce discomfort from injuries in animals that participate in jumping, running or agility events to help them maintain peak condition. Only a licensed veterinarian with formal training in veterinary acupuncture should administer treatment. 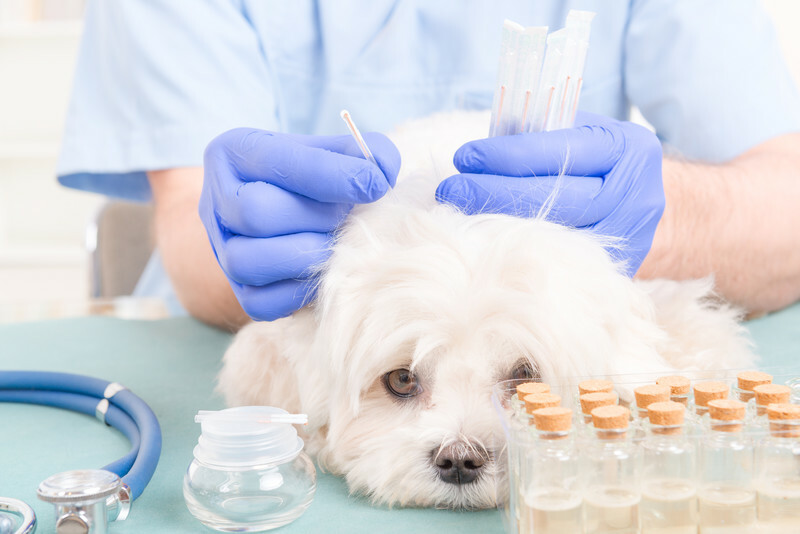 The acupuncturist will do significant examination and diagnosis of the dog’s health issues before beginning the treatments. After a short period spent calming the animal, the acupuncturist will release the blockage in the animal’s neural pathways by inserting the needles into specific energy meridians on the back, shoulders, legs or hips. Several different techniques may be used, such as dry needle acupuncture, electroacupuncture or aqua-acupuncture. Many animals will become relaxed and sleepy during treatment. However, some may experience numbness or tingling in treated areas. Side effects are rare, but a few animals have shown lethargy for up to 24 hours after treatment, and then, quickly show improvement in their condition. Studies indicate that acupuncture can be as effective, and often even more useful, than pain medications. Several sessions may be required, depending on the condition the vet is treating. For example, a simple sprain may need only one treatment, while severe osteoarthritis may call for several procedures to achieve full relief. As with people, acupuncture offers relief from pain and dysfunction, without the use of potent medications that adversely affect cognitive function or mood. Dogs respond well to acupuncture, with improved activity levels and noticeable relief of pain. If your pet is dealing with a painful condition, such as arthritis or hip problems, talk to your veterinarian about the benefits of dog acupuncture for pain relief.